Three Frisco ISD schools have survived the first round of the 2015 UIL Baseball Playoffs. Two of which–Frisco High and Liberty–are favorites to advance to next week’s Regional Quarterfinals. Can the frisky Wakeland Wolverines hold their own against the top state-ranked Rockwall-Heath Hawks? The Raccoons made quick work of McKinney High, dispatching them via the two-game sweep during last week’s UIL Bi-district round. Frisco High now moves on to the Area Round, where they will take on Forney High, who also rolled through their initial playoff foe, Woodrow Wilson, a week ago. The JackRabbits used the same formula in round one that they used to navigate their way to the second seed in District 12-5A…the one-two pitching punch of Jonathan Childress (5-1, 0.98 ERA) and Ty Browring (3-3, 2.56 ERA). Well that, plus timely hitting from Kyle Kaufman (.429, 9 SBs) and Jon Urso (.386, 11 RBI). The Raccoons’ scrappy playing style is exemplified by shortstop Ryan Vilade (.425, 3 HRs, 26 RBI). If he can use his on-base skills to make a statement early against the JackRabbits starters, then this could open up the flood gates once Forney’s shaky bullpen enters the foray. During the RedHawks’ Bi-district matchup, it looked as though McKinney High was poised for a sizeable upset after they stole the first game of the three game series, 4-3 while dealing Liberty ace Robby Evans the loss. But in true RedHawks fashion, they flipped the switch in the second game, with a thrilling, 2-1 victory, which set the stage for their rubber match win, 5-1, highlighted by a homer from JT Van Gelder. Terrell swept Carrollton Creekview to advance to the Area Round, scoring 14 runs combined in their two game sweep. P/0F Kris Priddy, hit a homer in game two while Lane Wadsworth set the tone with a game one triple. The Terrell Tigers are led by senior and Henderson State University commit Kris Priddy (4-4, 1.04 ERA, 78 Ks). Priddy, who threw 156 pitches over 12 innings in a game a little over a week ago, is one of the finest pitchers in the area. He is a one-man wrecking crew and you’d better believe on key to the RedHawks’ success will be to get to him early in game one. Rockwall-Heath is the number one ranked 5A team in the state, and this is do in no small part to Stephen F. Austin signee Tyler Pinkston (6-1, 2.28 ERA). And Pinkston isn’t even the team’s best pitcher. That distinction belongs to Tyler Ivey (9-0, 0.23 ERA, 100 Ks), who will be playing his post-high school baseball for Arkansas. Although Pinkston might play second fiddle to Ivey’s pitching prowess, he is far and away Rockwall-Heath’s best hitter, as is indicative of his .343 batting average with five home runs and a team-high 25 RBI. Other key components in Hawks’ offense include Clayton Rasbeary (.449, 19 RBI) and Canaan Smith (.421 BA, 21 RBI). Infielder Matt Wood is a crucial component, as he leads the team in stolen bases (18) and is second on the squad in RBI (23). 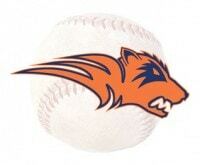 For Wakeland High, who beat up on first round opponent Lovejoy, outscoring the Leopards 20-4 over two games, they’ll have to take down The Two Tylers for a chance to make it to the third round of the 2015 UIL Playoffs.